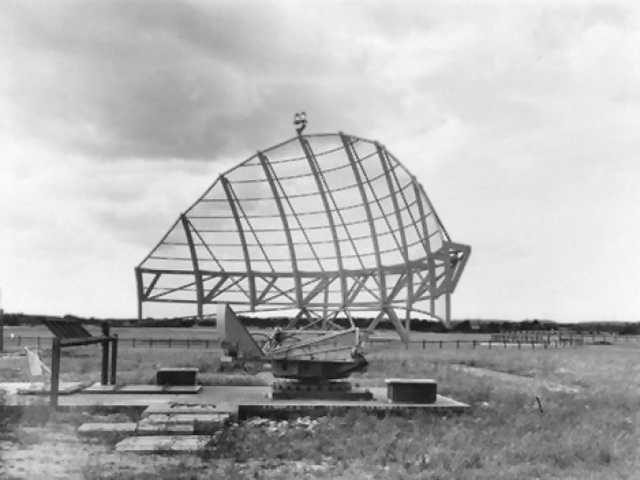 The Marconi S232 was one of the first ATC radars operating in the 50 cm band and was developed in 1954. This frequency band had the advantage, that this wavelenth was long enough to be unaffected by cloud and rain. This also gave more efficient radiation from the aerial system, thus longer ranges could be achieved for the same power output and aerial gain than with short wave length. The prototype was first installed at London Heathrow airport in April 1956. Its success led to a number of other installations, totalling 15, seven of which were overseas. 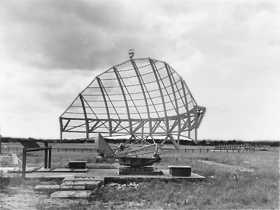 The transmitter was derived from that used on the Marconi Type 11 radar. The Transmitter of the S232 was crystal controlled and the equipment could be switched on without any subsequent tuning. The S232 incorporated a fully coherent Moving Target Indicator (MTI). The consistency of the transmitters frequency supported the effective function of the MTI system. The 50 cm frequency provided very good performance in precipitation conditions (unlike 10 cm) and was one of the reasons it became so popular in the 50/60's. Signals were passed to the operations site where they were processed by the MTI equipment. Water delay lines were used for the MTI signal processing. The antenna was usually mounted at ground level (to preserve the coverage pattern) and the electronics installed underneath in a “bunker”.